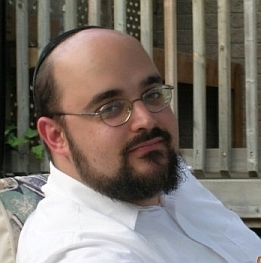 Rabbi Davidovich is a native of Montreal. He is a musmach of Ner Israel Rabbinical College in Baltimore, where he also served as a rabbinic intern at Congregation Shomrei Emunah under Rabbi Dr. Tzvi Hirsh Weinreb. He was rabbi of Adath Jeshurun Congregation in Newport News, Virginia, from 2001 until he came to HJC in September of 2006. The Rabbi and his wife Deena have five children.